This Vessel has been refit in 2013 and has been maintained perfectly by owner! 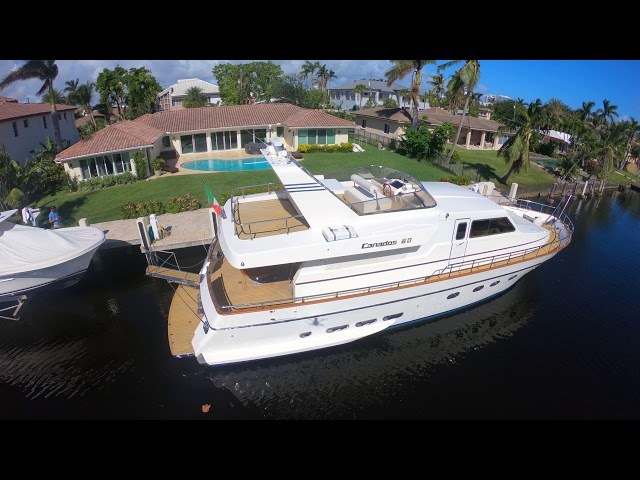 West Florida Yachts would love to guide you through a personal showing of this 60' Canados 60 Flybridge 2001. 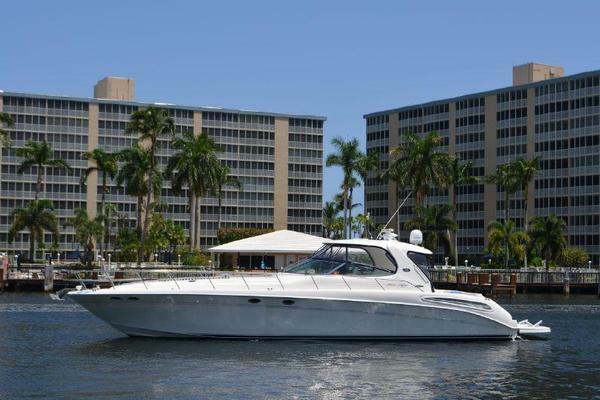 This yacht for sale is located in Ft. Lauderdale, Florida and priced at $360,000. For a showing please contact us by filling out the form on this page and we will get back to you shortly! Entering the vessel through the cockpit you will find with a teak dining table and chairs as well as access to the engine room, and salon. Entering the salon through the stainless-trimmed glass doors is a Cherry Wood dinette table as well as off white upholstery and carpet. The salon offers a large view over the port and starboard sides of the vessel through large sliding windows. The fridge and ice maker are located on the starboard side under the breaker panel. 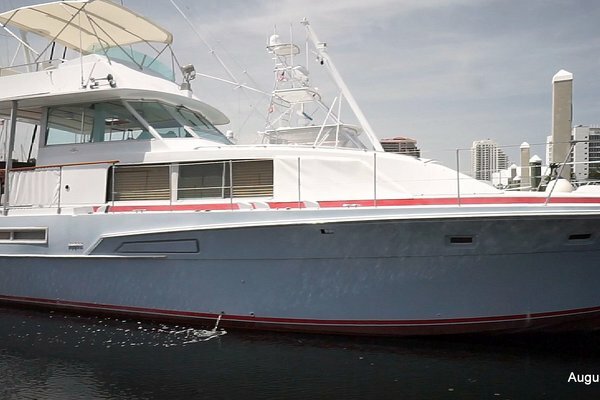 Passing the dinette are the galley to the port side of the vessel and a full door that leads to the port walkway as well as a matching door on the starboard side of the vessel that leads to the starboard walkway. Passing the galley, still on the port side of the vessel, is the helm. Down the staircase are the staterooms. Master stateroom is located behind the staircase and features a walking closet and head with full size shower and recessed vanity. Master stateroom also features numerous drawers and cubbies as well as multiple mirrors. Guest staterooms are located towards the bow of the vessel and are opposing however identical. Both guest rooms come with a personal head per room. Inside the guest rooms you will find twin berths in a bunk configuration. Crew cabin is located up in the bow of the vessel and are only accessible from the bow of the deck, with bunks located on the port side and head on the starboard.